I hope that there is no need of explaining about torrent files. With the help of torrent serving clients, you can download any large files without any extra cost rather than the bandwidth. 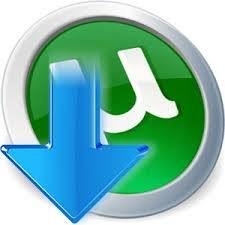 You may noticed that torrent files getting seeding after you downloaded a file using utorrent. These seeding makes the torrent file healthy. Then what about low seeded files? Can you download it with maximum speed? What to do is there are not enough seeders while you downloads a large file? Probably it makes the downloading speed very low. In order to overcome this situation you can make use of online torrent clients which allows you to download. Zbigz is one of the popular bittorrent client allows you to download Torrent files in any Download Manager or Within Web Browser. You can either paste the torrent magnetic link or upload torrent file directly. This is free and easy tool to download torrents very fast. Basically zbigz is a gateway between you and data server. Zbigz gives better result in Three Fourth of the time, but needs some skills in network configuration at some rare time. Apart from free users they provides better solution for premium users. Premium user payment is as low as 10$ a month. The Basic Concept behind boxopus is same as that of zbigz. You just need to upload the torrent file. One problem of boxopus that Zbigz is you need an dropbox account for downloading files from boxopus. If you don't have any dropbox account make one from here. Then you need to install dropbox on your PC. Whenever you do a download from boxopus it get start download file to your hard disk and then get moved to your Dropbox folder. Unlike boxopus and zbigz there is another more option in Torrenthandler which enables you to download torrent file by searching on mininova.org which is a large torrent file holder. Apart from this you can upload torrent files and put torrent links to download the torrent using IDM and other Download Managers. Torrenthandler doesn't decreases the direct download speed. If any speed capping i may only due to ISP problem. It is possible to download torrent files using IDM with a speed of 5 MB/Sec if your broadband bandwidth allows it. If you have any doubt regarding download torrent files please put a comment below. We will reply within hours. file in any of the downloader including Internet Download Manager (IDM).